(Reuters) - U.S. casino mogul Steve Wynn has resigned as CEO of his company Wynn Resorts following claims he subjected women who worked for him to unwanted advances, becoming one of the most prominent business leaders to quit over sexual misconduct allegations in recent months. The company said it was appointing Matt Maddox, its president since 2013, as chief executive, effective immediately. Maddox, who has been with Wynn Resorts Ltd since it was founded in 2002, is seen as a firm hand and is widely viewed as a favored protege of Wynn. As the "MeToo" movement galvanizes women to publicly air their experiences, Wynn's decision represents a rare resignation by a head of a major listed company in the wake of such accusations. It has also led to speculation that Wynn Resorts could become a takeover target, and raises the question of how much influence Wynn, its biggest shareholder, will continue to wield over the firm and how much scrutiny from authorities that will invite. Wynn, 76, has denied the accusations published by the Wall Street Journal as "preposterous" and said they were instigated by his ex-wife, an accusation that a representative for Elaine Wynn has denied. He also resigned as finance chairman of the U.S. Republican Party's fundraising arm, the Republican National Committee, in January. "In the last couple of weeks, I have found myself the focus of an avalanche of negative publicity...I have reached the conclusion I cannot continue to be effective in my current roles," he said in a statement. Sparking a wave of harassment and abuse allegations against dozens of powerful men, the "MeToo" movement has had its biggest impact so far in the media industry and politics. U.S. Senator Al Franken resigned in December after facing a series of sexual misconduct allegations. Movie producer Harvey Weinstein, and head of animation at Walt Disney Co's Disney and Pixar, John Lasseter, are among some of the high-profile men who have been singled out for sexual misconduct. Wynn, who according to Forbes has a net worth of $3.3 billion, started in Las Vegas casinos in the 1960s, creating some of Las Vegas' most iconic landmarks – the Mirage, Bellagio and Treasure Island. But he was forced to sell his multi-billion dollar operation Mirage Resorts to tycoon Kirk Kerkorian in a hostile takeover in 2000. Kerkorian then created MGM Mirage and Wynn went on to create Wynn Resorts with his ex-wife in 2002. Shares in Wynn Resorts, which owns the Wynn, Encore Las Vegas casinos as well as its Wynn Macau unit, have tumbled nearly 20 percent since the Journal report on Jan 26. The company is worth around $17 billion by market capitalization. Shares in Wynn Macau have slumped around 17 percent before they were put on a trading halt on Wednesday. Some analysts noted that questions remain over whether Wynn will sell or reduce his stake and how much fighting will ensue over control of the firm. "Some investors might consider the resignation of Steve Wynn as the removal of an overhang on the stock, but we think that many uncertainties remain around who will be the controlling shareholders in future," said Praveen Choudhary, analyst at Morgan Stanley in Hong Kong. Wynn owns about 11.8 percent of Wynn Resorts followed by his former wife who has 9.4 percent. On Wednesday a women's advocacy group called Ultra Violet said they would fly a plane banner over the Nevada Gaming Control Board meeting to urge the regulatory body to revoke Wynn’s gaming license. The banner was to read WYNN IS A SEXUAL PREDATOR #FIREWYNN. All regulators have announced probes into the allegations and even if Wynn were to sell shares, authorities could still well scrutinize his involvement with the company, said Choudhary. Wynn Resorts, which uses the founder's signature in the company's logo, said its board "reluctantly" accepted the resignation. "Steve Wynn is an industry giant. He is a philanthropist and a beloved leader and visionary. He played the pivotal role in transforming Las Vegas into the entertainment destination it is today." Wynn Resorts said on Wednesday it remained committed to being an inclusive and supportive employer, adding that more than 40 percent of all Wynn Las Vegas management are women, the highest in the gaming industry. It has set up a special committee to investigate the accusations. Wynn's Macau business has been a goldmine for Wynn Resorts, generating more than 75 percent of its total revenues. It has two lavish resorts in the world's largest gambling hub where only six firms have licenses to operate casinos. 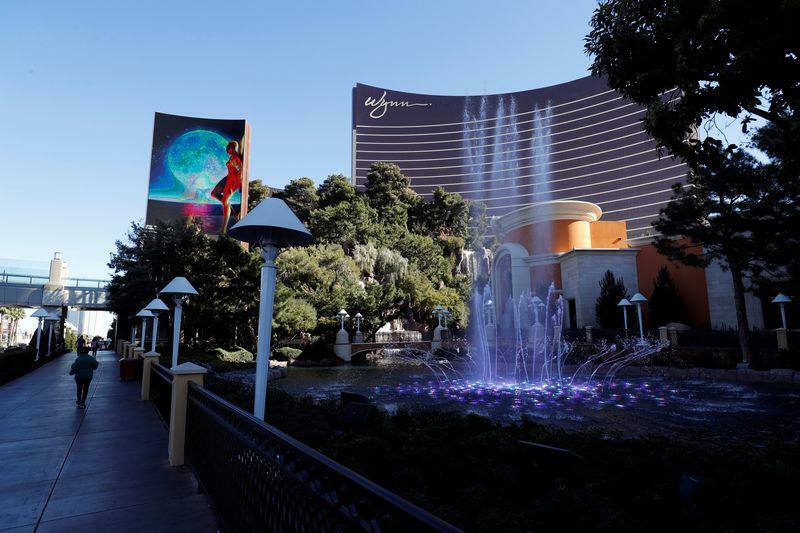 Either Wynn Resorts or its businesses could become M&A targets that would attract a plethora of suitors, analysts said. "Not only the other 5 Macau concessionaires but you now have a dynamic where you have these gaming REITs that have been established in the States like MGM Growth Properties and GLPI, they would be interested," said Grant Govertsen, analyst at Union Gaming in Macau. "You would also have financial buyers who would be interested along the lines of Blackstone and Apollo Global Management," he said.